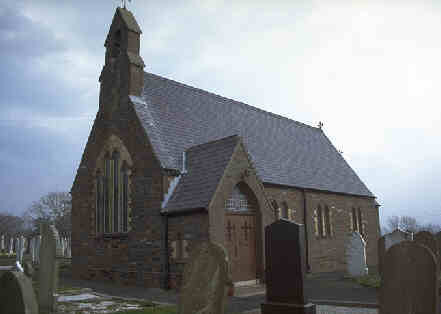 The Parish is one of two dedicated to St Patrick. 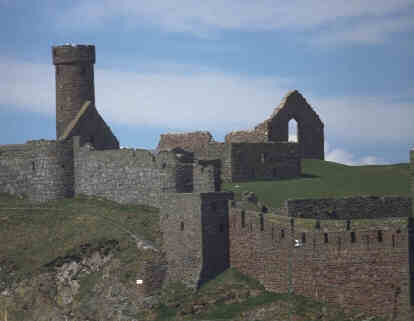 This later rebuild was apparently never intended as the parish church for which a site at Glen Maye had been chosen. The majority of WW1 graves from the nearby Knockaloe camp have now been removed. ...the foundation-stone of a new chapel was laid on the 30th of April 1879, by Mrs. Hill, wife of the Right Rev. Rowley Hill, Bishop of the Diocese, near the site of the old parish church, to be used as a parish church and as a mortuary chapel until such time as a new parish church should be built on the land purchased at Glenmaye. The old decayed church is to be taken down, and its site used as a portion of the parish burial-ground. One of the several Bishop Ward churches designed by John Welch. Consecrated 1839. 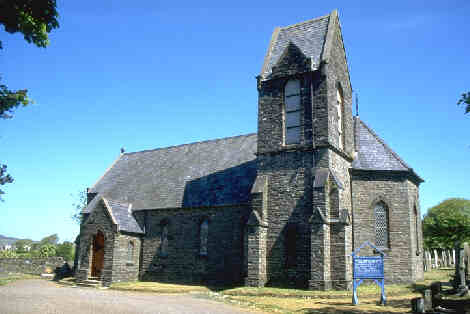 As in other rural churches it incorporates classrooms which are now used as the church hall. 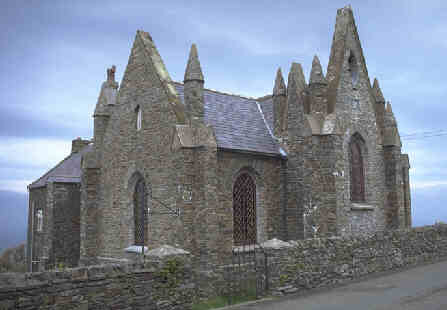 Prior to this the National School House had been licensed as a district chapel on 4th Nov 1847.